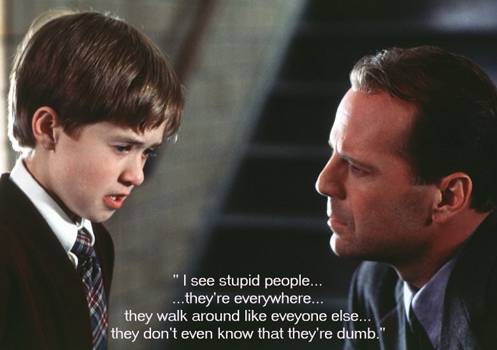 For my New Years resolution, I’d really like to see a ban on stupid people…and stupid legislation! Here’s the deal. When you adopt, buy or acquire a pet, it’s your responsibility to not only care for and feed the pet, you must train them. Let me say that more slowly for the idiot patrol – It – is – your – responsibility – to – properly – train – your pet. Dogs of any size need to be trained! Any dog can attack, but the damage done by a big powerful dog is so much worse than that done by a little dog (duh). Because of that, the big dogs get a very bad rap and lots of terrible publicity when some bad owner fails to properly train and restrain their dogs and someone gets attacked. On Monday, an unsuspecting jogger was attacked, mauled and critically injured by two unrestrained dogs on Chicago’s lake front. The dogs just happened to be 70 pound, unneutered, unrestrained pit bulls. They were shot and killed by police. The dogs were unleashed (against city law), not licensed (against city law) and apparently trained for something other than being a family pet (if trained at all). For a day, there were rumblings of possible Breed Specific Legislation (BSL) – until cooler heads prevailed. Now there is talk of creating laws that are tougher on bad dog owners (not that bad dog owner follow the rules anyway). 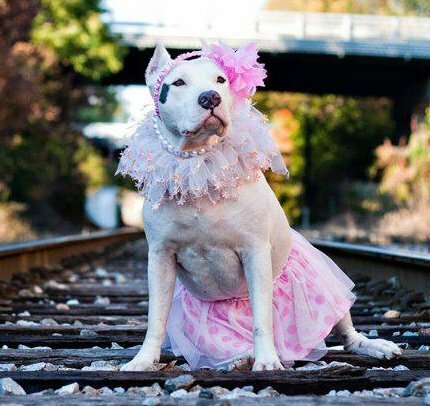 Courtesy of Dolly the Pit Bull - Sweet or Scary??? The dog’s owner in this case is using the excuse of “someone let them out.” The dogs are still his responsibility. If they had been properly socialized and trained, they never, ever would have attacked anyone (unless that is what they were trained to do). You can bet that if there’s a lawsuit, his homeowners insurance will hold him accountable in this case. As the debate raged this past week on what to do, one thing became abundantly clear. People I know that walk dogs for a living and deal with dogs they know and dogs they don’t know in many situations all said the same thing. They didn’t have any problems with the pit bulls they walk and encounter on walks – with the rotts or shepherds for that matter. They did have a lot of issues with stupid and irresponsible owners. The owners that let their dog run off-leash everywhere or those using a retractable leash with no control. You’ve heard of distracted drivers, distracted, irresponsible dog owners are causing just as many problems in their community. Dog owners on walks texting and not keeping an eye on their leashless dog was a huge topic on social media. Lots of issues were occurring when dogs they walked were encountered by dogs they didn’t know who were out of control. Some of the worst offenders – Golden Retrievers, Labs, Rat Terriers and Pomeranians. Where are the articles about those dangerous breeds – wait, they aren’t dangerous…their owners are. It will be interesting to see what new laws, if any are enacted and how they will be enforced. Since leash laws, licensing laws and other pet-related laws are already not being enforced…it’s likely not much will change. In the meantime, Chicago’s rescue community will continue to work hard to rescue and rehome all kinds of dogs, especially pit bulls. And, the next time BSL hits a discussion, lets hope its to ban stupid pet owners.